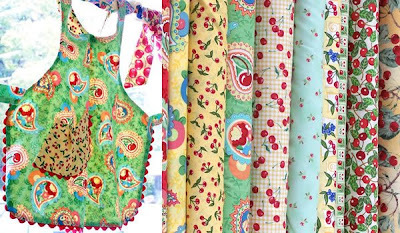 Here's a better shot of one of the aprons from the last post, along with an image of just a few of the cherry fabrics we're carrying this season*. Click on image to enlarge it. *not available at all Beverly Fabrics stores.